Designed by Henschel in response to a requirement in spring 1937 for a twin-engine ground-attack aircraft, to provide close air support for ground forces, that could carry at least two 20mm cannon and extensive protection, the Hs 129 was a cantilever low-wing monoplane of all-metal construction and it first flew in spring 1939 with two 347kW (465hp) Argus As 410 inverted-Vee engines. Poor performance hampered development, which was further hindered when the Luftwaffe pilots who tested the prototypes complained about poor fields of vision and sluggish handling. 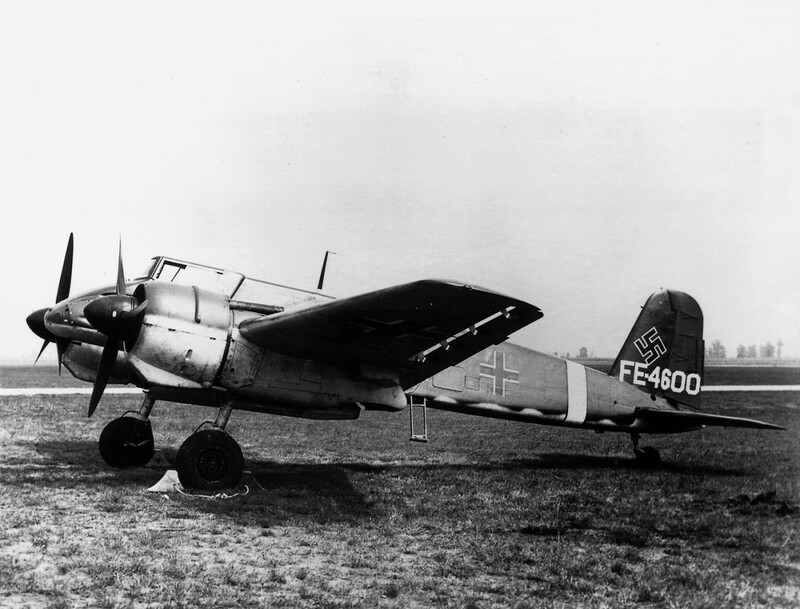 This forced Henschel to undertake a radical series of improvements that resulted in the Hs 129B-1. In April 1942 this type entered service with captured French radial engines. It was still underpowered, and the engines were both unreliable and vulnerable, but the demands of the Eastern Front resulted in the delivery of 843 Hs 129Bs. The Hs 129B-2, introduced in 1943, incorporated provision for under-fuselage attachments for anti-tank weapons. Sub-variants had cannons whose installation meant the deletion of the machine guns to provide room for the cannon’s ammunition, and some 25 Hs 129B-2 warplanes were adapted on the production line with a 75mm BK 7,5 (converted PaK 40L) anti-tank gun in a jettisonable under-fuselage pack.